For a comprehensive, award-winning marketing package, TopStream Marketing has proven itself time and time again to get the job done. Their vast menu of services include online marketing, branding, promotion of goals and ideas, and research. In other words, they do a little bit of everything to make sure that your business is successful online and offline. 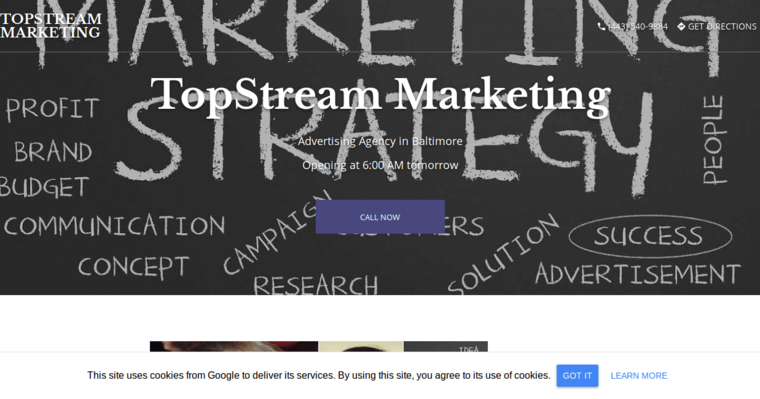 Based in Baltimore, Maryland, this award-winning marketing firm consists of two very experienced marketing experts who know the ins and outs of online marketing. 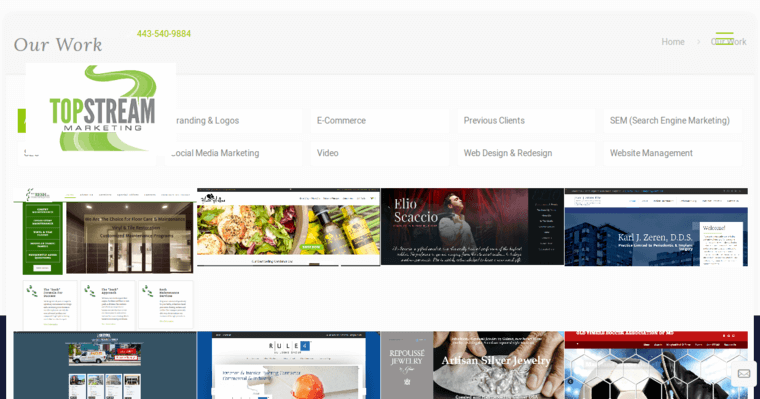 People who own website should know the importance of having a good, solid marketing team on your side. 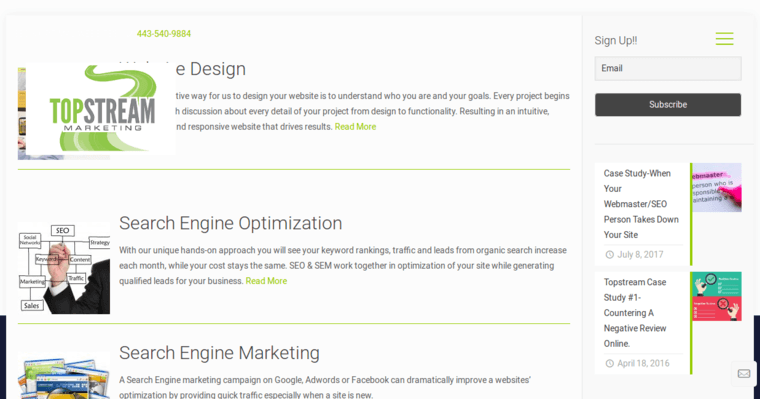 If you want, excellence, though, TopStream is the place to go for all online marketing needs. With a powerful one-two combination of experienced marketers, it's a good way to get your site ahead of the game and keep going toward the ultimate goal of online visibility and truly outstanding long-term success.